The purpose of this section is to provide for occupations in residential districts in a manner that will ensure that they are utilized only as accessory uses incidental to the primary residential use of the premises upon which they are located. A. No dwelling shall be used as headquarters for the assembly of employees for instructions or other purposes such as being dispatched for work at other locations. B. All aspects of the conduct of a home occupation shall be confined, contained and conducted within the dwelling. C. Any home occupancy which causes abnormal automotive or pedestrian traffic or which is objectionable due to unsightliness or emission of odor, dust, smoke, noise, glare, heat, vibration or similar causes discernible on the outside of any building containing such home occupation shall not be permitted. D. No significant enlargement or alteration to a dwelling for the sole purpose of conducting a home occupation shall be permitted that is inconsistent with the residential nature of the premises. E. The premises shall at all times be maintained as residential in appearance, cleanliness and quietness. F. Dimensions, power rating or weight of such equipment and tools used in the conduct of a home occupation shall not exceed that of normal household equipment and tools. G. There shall be no exterior indication of the home occupation; no exterior signs shall be used; no other on-site advertising visible from the exterior shall be used which informs the public of the address of the home occupation. H. Any materials used or any item produced or repaired on the premises shall not be displayed or stored so as to be visible from the exterior of the building. J. There shall be no outside storage of materials or equipment associated with the home occupation. Nor shall there be any storage or use of explosive, flammable, radioactive, toxic or other hazardous materials that are not normally found in the home nor in amounts not normally associated with a residence. Specific limitations and requirements for the storage of hazardous materials in a residence are found in and regulated by the Uniform Building Code. K. No more than 20% of the gross floor area of the dwelling unit shall be used for the home occupation. Accessory buildings or yard space shall not be used for home occupation purposes. L. Family daycare providers as defined by ORS 418.805 are exempt from standards I. and K. above. A. An application for a Home Occupation Permit is reviewed as a Type I procedure as specified in Section 500. A home occupation permit may be granted provided the use is not inconsistent with or disruptive to the normal residential usage of the premises or cause external effects which are detrimental to neighboring properties or are incompatible with the characteristics of the residential district. A Home Occupation must meet the operational standards of Section 310.020. B. Any person may request staff to review a Home Occupation Permit if evidence of non-compliance to this code is evident. C. Permits for home occupations may be revoked at any time for failure to adhere to standards and conditions of approval for home occupation. D. A change in the characteristics of the use will require a new permit. A. 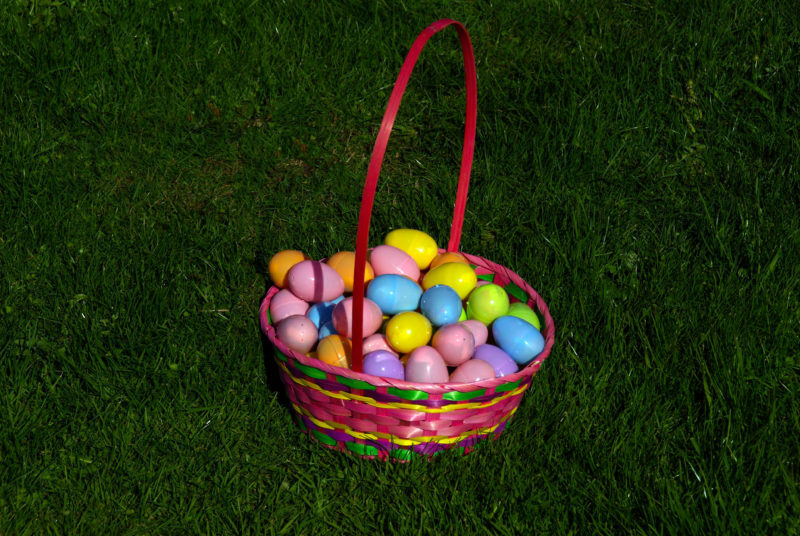 Activities such as parties and events in which goods are sold such as Tupperware, clothes, purses, candles, etc. are exempt from the home occupation permit and provisions of Section 310.020 as long as there is only one party or event held per month per household. These regulations ensure that uses in the Group Living Category will be compatible with the character of residential and commercial areas. The regulations of this section apply to all uses in the Group Living use category. The base zone sections state whether Group Living uses are allowed, limited, conditional uses, or prohibited. If they are conditional uses, they are subject to the regulations of Section 620 in addition to the provisions of this section. Group Living uses that are accessory to a College, Medical Center, or Religious Institution, such as dormitories, fraternities, or monasteries, and that are part of an approved conditional use are exempt from the regulations of this chapter. The development standards of the base zone and overlay zone apply unless superseded by the standards below. Purpose. Resident density is limited to parallel the residential densities of the various zones. Resident density is also regulated to address service demands and to prevent nuisance-type impacts for overcrowding. Description of Residents. Residents include all people living at the site, including those who provide support services, building maintenance, care, supervision, etc. People who only work at the site are not considered residents. MR 4 zone 2 residents per 1,000 sq. ft.
MR 2 zone 2.5 residents per 1,000 sq. ft.
Purpose. The minimum spacing standards assure that large Group Living uses so not unduly affect the character of residential and commercial areas. Spacing Standards. Group living facilities that are conditional uses must be at least 600 feet from a site with any other group living facility that is also a conditional use. C. Required Outdoor Area. The requirements for outdoor areas applies in all zones. Larger areas may be required as part of a conditional use review. The outdoor area requirement is 48 square feet for every 3 residents, with a minimum dimension of 6 feet by 6 feet. Individual outdoor areas may be combined. The minimum size of a combined area is 500 square feet and the minimum dimension is 15 by 15 feet. D. Parking and Loading. Parking requirements are stated in Section 350, Parking and Loading. Uses in the Group Living use category may also be subject to County, State or Federal licensing requirements. For more information, applicants should contact the Department of Human Services of the county in which the use will be located. These regulations allow for uses which provide essential services to people of low or no income while maintaining public safety, preserving a positive climate for investment in commercial and employment zones, and preventing negative impacts on residential zones. The regulations are intended to reduce conflict between Essential Service Provider uses (ESP’s) and other uses, and to ensure that ESP uses do not dominate the character of an area. 325.020 When These Regulations Apply. All regulations of this section apply to all uses in the Essential Service Provider (ESP) category. The base zone sections state whether ESP uses are allowed, conditional, limited or prohibited. If they are conditional uses, they are subject to the regulations of Section 620 in addition to the provisions of this section. A. All functions associated with the ESP must take place within the building proposed to house the ESP. B. Restrooms must be provided to serve the expected number of clients at peak period and must be kept in working order. C. Outdoor waiting for clients, if any, may not be in the public right-of-way, must be physically separated from the public right-of-way, and must be large enough to accommodate the expected number of clients. D. A maintenance plan for the exterior of the building and site must be submitted with the application and must be followed. The plan must provide for the building and site to be maintained at a level that will not detract from the character of the surrounding area. E. A litter control plan must be submitted with the application and must be followed. The plan must provide for effective litter removal at and near the site of the facility. ESP reviews are processed through a Type III procedure. Review is required for the establishment of an ESP or any change in operation for an established ESP. 325.050 ESP Review Approval Criteria. E. The proposed use and development is able to meet the approval criteria for Conditional Uses, if applicable, as stated in Section 620. Aid in energy conservation by providing shade from the sun and shelter from the wind. The regulations address materials, placement, layout and timing of installation. 330.020 Landscaping and Screening Standards. Subsections A through G state the different levels of landscaping and screening standards to be applied throughout the City. The locations where the landscaping or screening is required and the depth of the landscaping or screening are stated in various places throughout the code. All landscaping and screening required by this code must comply with all of the provisions of this section, unless specifically superseded. The landscaping standards are generally in a hierarchical order. The landscaping standards are minimums; higher standards can be substituted as long as all fence or vegetation height limitations are met. Crime prevention and safety should be remembered when exceeding the landscaping standards (height and amount of vegetation may be an issue). Intent. The L1 standard is a landscape treatment for open areas. It is intended to be applied in situations where distance is used as the principal means of separating uses or development, and landscaping is required to enhance the area in-between. While primarily consisting of ground cover plants, it also includes a mixture of trees, high shrubs, and low shrubs. Required Materials. The L1 standard requires one tree per 800 square feet and either two high shrubs or three low shrubs per 400 square feet of landscaped area. The shrubs and trees may be grouped. A combination of ground cover plants, grass, barkdust, decorative rock or like materials as approved by the Design Review Board, must fully cover the remainder of the landscaped area. See Figure 330-1. Intent. The L2 standard is a landscape treatment which uses a combination of distance and low level screening to separate uses or development. The standard is applied where a low level of screening is adequate to soften the impact of the use or development, or where visibility between areas is more important than a total visual screen. It is usually applied along street lot lines. Required Materials. The L2 standard requires enough low shrubs to form a continuous screen 3 feet high and 95 percent opaque year around. In addition, one tree is required per 30 linear feet of landscaped area or the equivalent. A combination of ground cover plants, grass, barkdust, decorative rock or like materials as approved by the Design Review Board, must fully cover the remainder of the landscaped area. A 3 foot high masonry wall or a berm may be substituted for the shrubs, but the trees and ground cover are still required. When applied along street lot lines, the screen or wall is to be placed along the interior side of the landscaped area. See Figure 330-2. Intent. The L3 standard is a landscape treatment which uses screening to provide the physical and visual separation between uses or development. It is used in those instances where visual separation is required. Intent. The L4 standard is intended to be used in special instances where extensive screening of both visual and noise impacts is needed to protect abutting sensitive uses in areas and where there is little space for separation. Required Materials. The L4 standard requires a 6 foot high masonry wall along the interior side of the landscaped area. One tree is required per 30 linear feet of wall or the equivalent. In addition, four high shrubs are required per 30 linear feet of wall. A combination of ground cover plants, grass, barkdust, decorative rock or like materials as approved by the Design Review Board, must fully cover the remainder of the landscaped area. See Figure 330-4. Intent. The L5 standard is intended to be used in special instances where extensive screening of both visual and noise impacts is needed to protect abutting sensitive uses, and where it is desirable and practical to separate a use by distance as well as sight-obscuring materials. Required Materials. The L5 standard requires a berm between 4 and 6 feet high. If the berm is less than 6 feet high, low shrubs that meet the L2 standard must be planted on top of the berm to assure that the overall screen height is 6 feet. In addition, one tree is required per 30 linear feet of berm or the equivalent. A combination of ground cover plants, grass, barkdust, decorative rock or like materials as approved by the Design Review Board, must fully cover the remainder of the landscaped area. 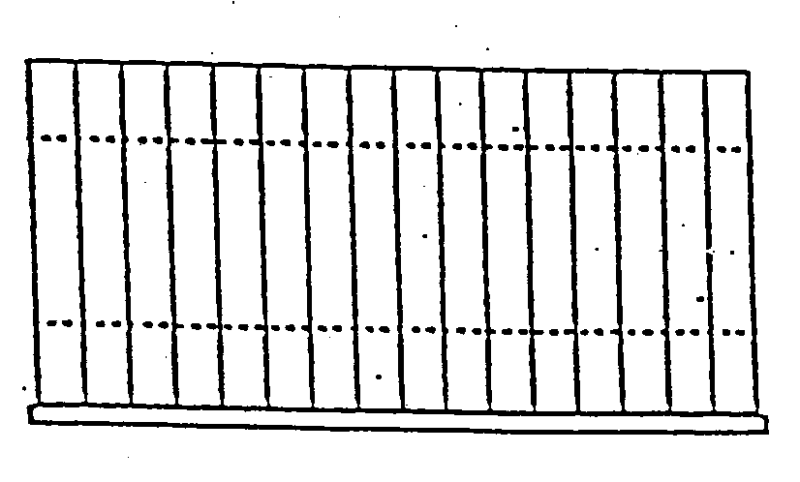 See Figure 330-5. F. F1, Partially Sight-Obscuring Fence. Intent. The F1 fence standard provides a tall, but not totally blocked visual separation. The standard is applied where a low level of screening is adequate to soften the impact of the use or development, or where visibility between areas is more important than a total visual screen. It is applied in instances where landscaping is not necessary and where nonresidential uses are involved. Required Materials. Fences must be 6 feet high and at least 50 percent sight-obscuring. Fences may be made of wood, metal, bricks, masonry or other permanent materials. See Figure 330-6. Intent. The F2 fence standard provides a tall and complete visual separation, and is intended to be used in special instances where complete screening is needed to protect abutting uses, and landscaping is not practical. It is usually applied in nonresidential situations. Required Materials. Fences must be 6 feet high and 100 percent sight-obscuring. Fences may be made of wood, metal, bricks, masonry or other permanent materials. See Figure 330-7. A. Shrubs and Ground Cover. All required ground cover plants and shrubs must be of sufficient size and number to meet the required standards within 3 years of planting. B. Trees. Trees may be deciduous or evergreen. Deciduous trees at the time of planting must be fully branched, have a minimum height of 7 feet or be 1 1/2 inches in caliper. Evergreen trees at the time of planting must be fully branched and a minimum of 5 feet in height. (1) Existing Vegetation. Existing landscaping or natural vegetation may be used to meet the standards, if healthy and protected and maintained during the construction phase of the development. When the existing trees are at least 8 inches in diameter, measured 5 feet above the ground, they may count triple towards meeting the tree requirements of a landscaping standard. (2) Selection of Materials. Landscape materials should be selected and sited to produce a hardy and drought-resistant landscape area. Selection should include consideration of soil type and depth, the amount of maintenance required, spacing, exposure to sun and wind, the slope and contours of the site, and compatibility with existing native vegetation preserved on the site. D. Complying with the Standards. It is the applicant’s responsibility to show that the landscaping materials proposed will comply with the regulations of this section. A. Installation. Plant materials must be installed to current nursery industry standards. Plant materials must be properly supported to ensure survival. 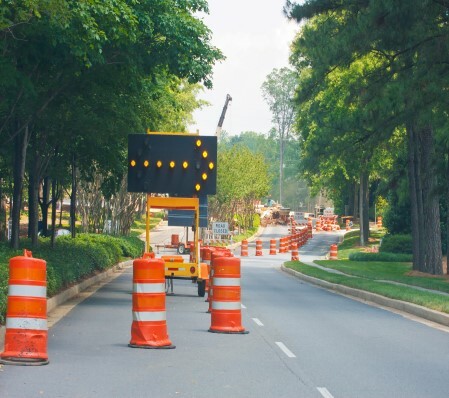 Support devices such as guy wires or stakes must not interfere with vehicular or pedestrian movement. B. Maintenance. Maintenance of landscaped areas is the ongoing responsibility of the property owner. Required landscaping must be continuously maintained in a healthy manner. Plants that die must be replaced in kind. C. Protection. All required landscaped areas, particularly trees and shrubs, must be protected from potential damage by adjacent uses and development, including parking and storage areas. Landscape plans must be submitted showing all landscaped areas. Plans must be drawn to scale and show type, size, number and placement of materials. Materials must be identified with both their scientific and common names. Any proposed irrigation system must also be shown. The installation of any required landscaping may be deferred during the summer or winter months to the next planting season, but never for more than 6 months. In this instance, a temporary certificate of occupancy may be issued prior to the installation of all required landscaping. In all instances, all required landscaping must be installed prior to the issuance of a final certificate of occupancy. To reduce the visual and solar impacts of the height of new buildings located on adjoining lots. The following standards apply to all buildings to be built on lots in the NC Zone that abut any residential zone. A. 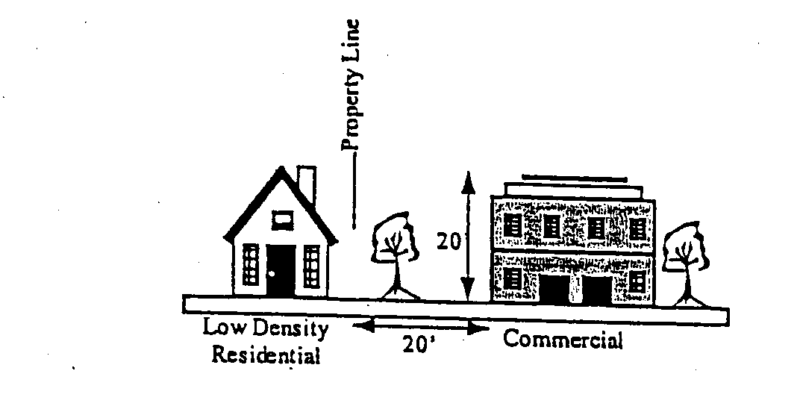 For every one foot of height of a proposed building, one foot of horizontal distance between the building to the abutting residential property line is required. See drawing 335-1. Measurement of the height transition area shall be made between the foundation of the proposed building and the property line of the abutting residential zone. When the proposed structure is designed such that different sections will have different heights, the height transition area shall be measured for each vertical surface as if it were free-standing. The building then must be located on the site so that no section is closer to the abutting residential property line than it would be if the section was free-standing. B. The standard under A above applies to all buildings to be built on lots in the NC Zone when those lots abut any residential zone. The required buffer and screening of the site, as well as utilities, may be located within the height transition area. Off-street parking, accessory structures and incidental development may be located within the height transition area. One (1) manufactured home may be located on an individual lot in any residential zone, provided that the manufactured home meets the standards contained in Section 340.010B below. Each manufactured home shall be multi-sectional and have a minimum floor area of one thousand (1,000) square feet. The manufactured home shall be placed on an excavated and back-filled foundation and enclosed at the perimeter such that the manufactured home is located not more than twelve (12) inches above the ground. The manufactured home shall have a pitched roof, with a slope of no less than a nominal three (3) feet in height for each twelve (12) feet in width. The manufactured home, and attached or detached garage, shall have exterior siding and roofing which is similar in color, material and appearance to siding and roofing commonly used on residential dwellings within the City, or which is consistent with the predominant materials used on surrounding dwellings, as determined by the City. The manufactured home shall be certified by the manufacturer to have an exterior thermal envelope meeting performance standards which reduce heat loss to levels equivalent to the performance standards required of single-family dwellings constructed under the State Building Code as defined in ORS 455.010. The manufactured home shall have an attached or detached garage. In addition to the provisions in paragraphs 1 to 6 of this subsection, the manufactured home and the lot upon which it is sited shall be subject to all other Code requirements to which a conventional single-family residential dwelling on the same lot would be subject. Manufactured home park spaces shall be available for rental or lease only. Individual sale is prohibited. (a) Residential manufactured homes, together with normal accessory uses such as awnings, patio slabs, carport or garages, and storage buildings. (c) Community recreation facilities, including swimming pools, operated for the residents and guests of the park only. (d) One (1) manufactured home or other residence for the use of a manager or a caretaker responsible for maintaining and operating the park. No occupancy permit for any manufactured home park, building, or facility shall be issued by the City until the park or an approved phase of the park has been completed according to the final site plan approved by the Design Review Board. Deviations from the approved plan must be resubmitted to the Board for review and approval. The owner(s) of the manufactured home park property, or duly authorized park management, shall be held responsible for all alterations and additions to a manufactured home park or to individual homes within the park, and shall ensure that all necessary permits and inspections are obtained from the City or other applicable authority prior to the alterations or additions being made. The occupancy of recreational vehicles within the manufactured home parks as permanent living quarters are prohibited. Unoccupied recreational vehicles located in designated parking or storage areas within manufactured home parks are permitted. If storage yards for recreational vehicles, boats or trailers are provided, an eight (8) foot high sight-obscuring fence shall be erected around the perimeter of the storage yard. Spaces shall be a minimum of four thousand (4,000) square feet, with a width of no less than twenty-five (25) feet at the front space line and forty feet at the building line. The boundaries of all spaces shall be surveyed or otherwise suitable and permanently marked on-site, as determined by the City. Two (2) off-street parking spaces shall be provided for each manufactured home space. Additional off-street parking spaces shall be provided in the manufactured home park with not less than one (1) additional parking space per every ten (10) manufactured homes. All off-street parking spaces shall be paved. A minimum four (4) foot wide sidewalk shall be required on one (1) side of all private streets within manufactured home parks. Only one (1) manufactured home shall be permitted on a space. The supplementary siting standards contained in Section 730 – Measurements shall apply to manufactured home parks, provided that space lines shall be deemed to be the equivalent to lot lines for the purposes of applying those standards. Buildings setbacks shall be equivalent to Manufactured Home Park setbacks required by the State, provided however that perimeter rear yard setbacks for manufactured homes shall be ten (10) feet from additional properties. Spaces lines shall be deemed the equivalent to lot lines for the purposes of applying those setback standards. Awnings, carports and other attached structures shall be considered part of the manufactured home for setback purposes. Each manufactured home shall have a minimum floor area of eight hundred (800) square feet. Except as otherwise herein provided, accessory uses, buildings, and structures shall be treated as per Section 210.110. All manufactured homes shall be placed on a foundation stand, adequate to provide a stable, fixed support. The stand shall be all-weather and surfaced with asphalt, concrete or crushed rock, and at least as large as the manufactured home. (a) Skirting of moisture resistant, non-combustible material or fire retardant wood. (b) Pedestals, or blocking supports, insuring adequate support and in compliance with the Oregon Department of Commerce manufactured home setup procedures. (c) Awnings, car ports, and similar structures shall be of a material, size, color and pattern similar to the manufactured home and shall conform to all applicable building codes. All manufactured homes, service buildings and accessory structures shall be connected to public water and sewer system in accordance with City standards. Sufficient fire hydrants shall be installed so that no manufactured home, or other structure is further than three hundred (300) feet from a hydrant, as measured down the center lines of streets, whether private or public. Fire protection shall be provided in compliance with the Uniform Fire Code. (a) 24 feet with no on-street parking allowed. (b) 32 feet with on-street parking allowed on one (1) side. (c) 36 feet with parking allowed on two (2) sides, provided that at least one (1) private street thirty-six (36) feet in width with no on-street parking allowed shall be constructed to intersect with an adjacent public street. Any street within the manufactured home park that, due to volumes of traffic or street location, as determined by the City, functions as a minor collector or higher functional classification roadway shall be a public street and constructed to full City public improvement standards. All other community design standards contained in Section 630 and relating to off-street parking and loading, energy conservation, historic resources, environmental resources, landscaping, access and egress, signs, parks and open space, on-site storage, and site design that are not specifically varied by Section 660 shall apply to manufactured home parks. Establish a policy framework for managing mobile food businesses which can provide opportunities to enliven under-utilized parking lots, allow individual entrepreneurship at a small scale, and provide unique eating establishments for the public. The purpose of this section is to allow for mobile food unit sites or “food pods” where mobile food units (carts) can be located. Mobile Food Unit: is defined by OAR 333-150-0000 as any vehicle that is self-propelled or that can be pulled or pushed down a sidewalk, street, highway or waterway, on which food is prepared, processed or converted or which is used in selling and dispensing food to the ultimate consumer. Permanent site improvements may or may not be required; however, the standards and permit processes of this section are intended to ensure that mobile food unit sites are conducted as lawful uses and in a manner that is not detrimental or disruptive in terms of appearance or operation to neighboring properties, residents and pedestrians. Food Pod: A single site that includes three (3) or more food carts. Locations where mobile food units stop for less than two hours in any twenty-four (24) hour period, the applicant must submit a document from the property owner(s) showing permission to park and conduct business at the location. Locating on any public right of way is prohibited. Locations where mobile food units are stored when not in operation are exempt from the provisions of this section; however, the storage of commercial vehicles may be subject to other requirements of the City of Wood Village Zoning and Development Code (ZDC). Mobile food units and other mobile vending units that are operated as part of an approved community event. The following standards apply to mobile food unit sites. Zoning. Mobile food unit sites are permitted within the Neighborhood Commercial (NC), Town Center (TC), Commercial/Industrial (C/I) General Manufacturing (GM), and Light Manufacturing (LM) zones as shown in the use tables found within this title. Allowed Locations. Vendors may locate carts or pods in the following locations:A. Private Parks and Property: For applications submitted for placement of one (1) or two (2) units, the cart owner(s) may be the applicant. The applicant must obtain written approval from the property owner. For applications submitted for three (3) or more units, the property owner shall be the applicant. B. Sidewalks and Right-of-Way: No food carts or pods shall be located on or within a public sidewalk or right of way. Cart Accessory Items and Structures. All applications are subject to a Type II land use procedure and approval. Locations with one (1) or two (2) carts may include any of the following items, but are not required. All Food Pods are required to include the following items, and identify the location in their land use application. Trash/Recycling receptacles. Trash receptacles for customer use shall be maintained no more than ten (10) feet from each mobile food unit. All vendors will be responsible for clearing any litter within 25’ of their vending unit. Picnic tables or other seating areas. Canopies or covered seating facilities: One (1) individual unit may have an outdoor seating area, which may have a roof, flooring, and railings, but no walls (e.g., decks, picnic shelters), provided that the square footage does not exceed two hundred (200) square feet. A group of two or more mobile food units may have an outdoor seating area, which may have a roof, flooring, and railings, but no walls (e.g., decks, picnic shelters), provided that the square footage does not exceed two hundred (200) square feet per mobile vending unit with a maximum size of 5,000 square feet. For example, this is further defined to mean three (3) mobile food units could have a dining structure up to 600 square feet. Signs. Pursuant to ZDC Section 370 one (1) “A-Frame” sign is permitted for each mobile food unit, and attached wall signs are allowed on the units. C. Five (5) feet from any side or rear lot line, except if such lot line abuts a residential zone the minimum setback shall be twenty (20) feet. C. Sight obscuring fences and landscaping shall have a minimum height of six feet. Setback from Vehicular and Pedestrian Use Areas. Windows and doors used for service to customers shall be located a minimum of ten (10) feet from loading areas, driveways, on-site circulation drives, and parking lot aisles, and a minimum of five feet from bicycle parking spaces and walkways. Obstruction of Vehicular and Pedestrian Use Areas and Landscape Areas. No mobile food unit or associated element, such as seating areas, trash receptacles, signs, and customer queuing areas, shall occupy bicycle parking spaces, loading areas or walkways. Mobile vending units shall not occupy landscaping areas approved as part of a prior design review or other land use application. However, occupying existing on-site automobile parking spaces is permitted, provided that such spaces are not designated as ADA stalls, simultaneously used for parking or required to meet minimum parking requirements on the site. Surfacing. All Food Pods shall be placed on an existing hard-surfaced area, or on an area specifically paved for the purpose with an approved hard surface. Any associated parking, loading and maneuvering areas for vehicles shall be on existing or newly constructed hard-surfaced areas, unless a permeable parking, loading or maneuvering area surface was authorized as part of a previously implemented design review approval for the site. One (1) or two (2) food carts may be placed on a gravel surface in accordance with City Public Works Standards. Driveway Access. Any new or modified driveway access must be submitted for review by the City and associated jurisdictions. Intersection Sight Distance and Roadside Clear Zones. The mobile food unit or food pod and any attachments or accessory items shall comply with the intersection sight distance and roadside clear zone standards of the City. Utilities. All food carts and food pods must provide details on how utilities will be provided. If the cart or pod relies on power generation, all generators shall be self-contained, run-quiet models that are not audible from any adjacent property line. 14 Sewage Disposal. Subsurface sewage disposal is prohibited. The following standards apply to each mobile food unit on the site. Attachments. Attachments to the mobile vending unit, such as awnings are permitted only if they are supported entirely by the unit and do not touch the ground. Awnings shall have a minimum height clearance of seven (7) feet. Neither the mobile food unit nor any item relating to the unit shall lean against or hang from any structure or utility pole. No structure shall be attached to the mobile food unit. Accessory Storage. All items relating to the mobile food unit shall be stored in, on, or under the unit, or in approved storage building. Interior Seating or Vending. Customer seating or vending inside the mobile food unit is prohibited. Skirting. Skirting shall be placed around the perimeter of the mobile vending unit if it is part of a Food Pod. Drive-Thru Service. Drive-thru mobile food units are prohibited. Other Licenses and Code Compliance Required. Besides meeting the requirements of this section, the operator of a mobile food unit must have an active City business license and must comply with the permit requirements of the Multnomah County Health Department, Multnomah County Transportation, and Gresham Fire. Specifically, all mobile food units regulated by this code are subject to NFPA 58, liquefied petroleum gas, NFPA 70 National Electrical code, NFPA 96 Standard for ventilation Control and Fire Protection of Commercial Cooking Operations, NFPA 10 Fire extinguishers and NFPA 17 and 17A Dry Chemical Extinguishing systems and Wet Chemical Extinguishing systems. NFPA 96.78.2 will also apply, a provision dealing with the minimum separation between units and separation between a unit and a property line. Type II Procedure. All food carts, food pods and related structures are required to obtain design review approval in accordance with Section 520.100, a quasi-judicial procedure. 9. Location and type of screening if required. M. Any limitations or conditions imposed by the City’s service providers, including but not limited to Wood Village Water and Sewer, Multnomah County Transportation, Multnomah County Health Department, ODOT, Gresham Fire & Emergency, and Gresham Building Services, etc. Compliance Inspection: The City Manager or designee shall perform a site inspection and issue a certificate of completion to the applicant prior to the opening and use of any food cart or pod. Approval Period and Time Extension. A mobile food unit site approval is valid for one year from the date of the final written decision. If the City’s final written decision is appealed, the approval period shall commence on the date of the final appellate decision. During this one-year period, the approval shall be implemented, or the approval will become void. “Implemented” means all necessary development permits shall be obtained and maintained for the approved development. At the end of the first one-year period, the permit may be renewed administratively for one (1) year. A second administrative approval for another year may occur at the end of the second year. No more than two (2) administrative renewals shall occur per original approval. At the close of the third year, the applicant must submit a new Type II application. City approval of a mobile unit is not transferable in the case of new business ownership of the existing unit or unit replacement. A new application to the City is required. 3. Other offensive activities not compatible with the surrounding area. C. When a mobile food unit site permit has been revoked due to violation of these standards, another application for a mobile food unit site on the subject parcel will be considered once all outstanding issues are resolved. This section establishes the standards for the amount, location, and development of motor vehicle parking, and standards for on-site loading areas. Other City Ordinances may regulate other aspects of parking and loading. A parking plan, drawn to scale, must accompany land use applications. Depending on the nature and magnitude of the development, it may be possible to show the needed parking information on the site plan. The plan must show the following elements that are necessary to indicate that the requirements of this Code are being met. Delineation of individual vehicles and bicycle parking spaces, including handicapped parking spaces. Circulation area necessary to serve spaces. Location of bicycle and motorcycle parking areas, if any. Access to streets, alleys, and properties to be served. 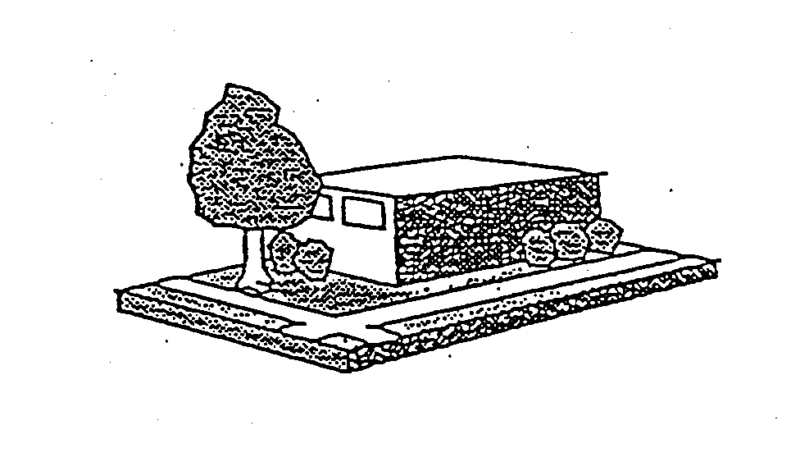 Type of landscaping, fencing, or other screening materials. Grading, drainage, surfacing, and sub-grading details. Delineation of all structures and obstacles to circulation on the site. Specifications of signs and bumper guards. Location of planter bays where required. Proposed number of employees and amount of floor area space applicable to the parking requirements for the proposed use. A. Where the Regulations Apply. The regulations of this section apply to all parking areas in all zones, whether required by the code or put in for the convenience of property owners or users. Parking areas include those accessory to a use, or for a park and ride use in the Basic Utilities use category. B. Occupancy. All required parking areas must be completed and landscaped prior to occupancy of any structure except as provided in Section 330 – Landscaping and Screening. C. Use of Required Parking Spaces. Required parking spaces must be available for the use of residents, customers, or employees of the use. Fees may be charged for the use of required parking spaces. Required parking spaces may not be assigned in any way to a use on another site, except for joint parking situations (see Section 350.045), or to redevelop a portion of a parking lot for transit oriented uses including bus stops, pullouts, shelters, park and ride stations and similar facilities as approved by the City in cooperation with Tri-Met. Redevelopment or joint use of a parking lot may occur only when the underlying parking stall requirements have been met. Required parking spaces may not be used for the parking of equipment or storage of goods or inoperable vehicles. D. Curb Cuts. Access points with the street shall be the minimum necessary to provide access while not inhibiting the safe circulation and carrying capacity of the street. Curb cuts shall be designed to established City standards. E. Proximity of Parking to Use. Required parking spaces for residential uses must be located on the site of the use. Required parking spaces for nonresidential uses must be located on the site of the use or in parking areas whose closest point is within 250 feet of the site. The purpose of required parking spaces is to provide enough on-site parking to accommodate the majority of traffic generated by the range of uses which might locate at the site over time, while at the same time maximizing land use by avoiding an oversupply of parking stalls. The required parking numbers correspond to broad use categories, not specific uses, in response to this long term emphasis. Variation from parking requirements shall be allowed only after approval of a variance as per Section 660. 350.045 Number of Required Spaces. Table 350-1A and 1B state the required minimum and maximum number of spaces for each use category. When computing parking spaces based on floor area, areas used for parking are not counted. The number of parking spaces is computed based on the primary use of the site except as stated in Paragraphs 3 and 4 below. When there are two or more separate uses on a site, the required parking for the site is the sum of the required parking for the individual uses. For joint use parking, see Paragraph 5. When a use has more than 20 percent of its floor area in a distinct function (i.e., office, warehouse, or retail), the required parking is calculated separately for each function. An example would be a 40,000 square foot use with a 10,000 square foot office area and a 30,000 square foot warehouse. The required parking would be computed separately for the office and warehouse functions. Joint Use Parking. Joint use of required parking spaces may occur where two or more uses on the same or separate sites are able to share the same parking spaces because their parking demands occur at different times. The number of required stalls per use may be reduced up to 25%. Joint use of required nonresidential parking spaces is allowed if the following documentation is submitted in writing to the City Administrator as part of a building permit application or land use review. (d) A legal instrument such as an easement, lease, contract or similar written document or deed restriction that guarantees access to the parking for both uses. Multi-family residential development shall provide a minimum of two bicycle parking spaces or one per 10 auto spaces, whichever is greater. Industrial development shall provide a minimum of two bicycle parking spaces or one space for every 30 auto spaces, whichever is greater. Development in commercial and institutional categories must provide a minimum of two bicycle parking spaces per building or one space for each 30 auto spaces, whichever is greater. (b) Bicycle Parking Development Standards. The parking shall be well-lighted and lockable so as to provide security and convenience to bicyclists. The bicycle parking must be within 50 feet of a well- used building entrance. On property with multiple uses of buildings, bicycle parking may be clustered in one or more locations. The on-site circulation system must be designed to accommodate safe and convenient bicycle access. The size and placement of vehicle parking areas are regulated in order to enhance the appearance of neighborhoods. A. Structures These Regulations Apply To. The regulations of this section apply to houses, attached houses, duplexes, and manufactured homes. The regulations apply to required and excess parking areas. Parking for manufactured home parks is regulated in Section 340 – Manufactured Homes. B. Parking Area Locations. Required parking spaces are not allowed within the first 10 feet from a front lot line. In addition, no more than 40 percent of the land area between the front lot line and the front building line may be paved for parking or driveway purposes. Parking in garages is subject to the base zone setback standards. C. Parking Space Sizes. The minimum size of a required parking space is 9 feet by 19 feet. The minimum driveway width on private property is 9 feet for residential uses. D. Paving. All driveways and parking areas shall have a durable, dust free surfacing of asphalt, concrete, or other material approved by the Director of Public Works. Decrease airborne and waterborne pollution. A. Where These Standards Apply. The standards of this section apply to all vehicle areas whether required or excess parking, except for residential parking areas subject to the standards of Section 350.050 through 350.055. Paving. In order to control dust and mud, all vehicle areas shall have a durable, dust free surface of asphalt, concrete, or other material approved by the Public Works Director. For instance, infrequently used parking areas may have a gravel surface. However, some portions of individual parking spaces may be landscaped per the standards of Paragraph D4 below. Striping. All parking areas, must be striped in conformance with the parking dimension standards of Subsection D below. Protective Curbs Around Landscaping. All perimeter and interior landscaped areas must have protective curbs along the edges. 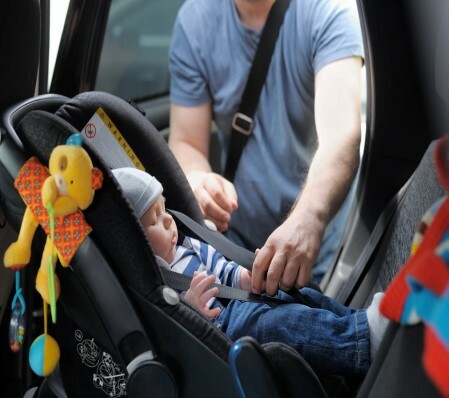 Trees must have adequate protection from car doors as well as car bumpers. C. Setbacks and Perimeter Landscaping for Surface Parking Areas. The minimum required setbacks and landscaping for surface parking areas are stated in Table 350-2. The setbacks apply when a parking area abuts a street or lot line. (a) All parking areas, must be designed so that a vehicle may enter or exit without having to move another vehicle. (b) All parking areas must be designed to allow vehicles to enter and exit the roadway in a forward motion. However, this does not apply to parking areas with one or two spaces and whose only access is on a non-arterial street. Parking Space and Aisle Dimensions. (a) The minimum dimensions for required parking spaces are stated in Table 350-3. All excess spaces must comply with at least the dimensions for compact spaces, stated in Table 350-3. Compact spaces must be clearly labeled on the site for compact use. (b) At least 50% of required parking spaces must comply with the minimum dimensions for standard spaces. Disabled Parking. Where required by this Code, Chapter 31 of the Uniform Building Code or the Americans With Disabilities Act, disabled parking spaces must meet the dimension standards stated in Table 350-3. Landscape Instead of Paving. A portion of a standard parking space may be landscaped instead of paved. The landscaped area may be up to 2 feet of the front of the space as measured from a line parallel to the direction of the bumper of a vehicle using the space. Landscaping must be ground cover plants. The landscaping does not apply towards any perimeter or interior landscaping requirements, but does count towards any overall site landscaping requirement. E. Parking Area Interior Landscaping. Amount of Landscaping. All surface parking areas with more than 10 spaces must provide interior landscaping complying with one or a mix of both the standards stated below. In addition, the City encourages the use of bio-retention cells as rain gardens in parking lot islands, and utilization of site landscaping for treatment of stormwater runoff in the parking lot. (a) Option 1. Interior landscaping must be provided at the rate of 20 square feet per stall. At least one tree must be planted for every 200 square feet of landscaped area. Ground cover plants must completely cover the remainder of the landscaped area. (b) Option 2. One tree must be provided for every four parking spaces. 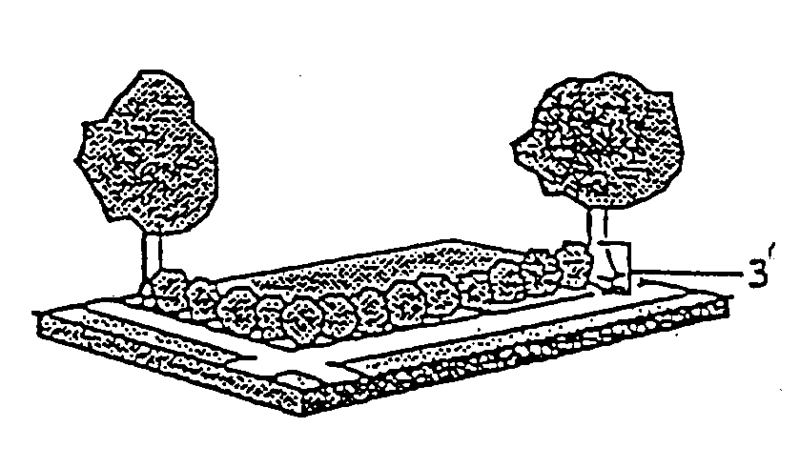 If surrounded by cement, the tree planting area must have a minimum dimension of 4 ft. If surrounded by asphalt, the tree planting area must have a minimum dimension of 3 ft.
Development Standards for Parking Area Interior Landscaping. (a) All landscaping must comply with the standards of Section 330 – Landscaping and Screening. Trees and shrubs must be fully protected from potential damage by vehicles. (b) Interior parking area landscaping must be dispersed throughout the parking area. Some trees may be grouped, but the groups must be dispersed. (c) Perimeter landscaping may not substitute for interior landscaping. However, interior landscaping may join perimeter landscaping as long as it extends 4 feet or more into the parking area from the perimeter landscape line. (d) Parking areas that are 30 feet or less in width may locate their interior landscaping around the edges of the parking area. Interior landscaping placed along an edge is in addition to any required perimeter landscaping. A minimum number of loading spaces are required to ensure adequate areas for loading for larger uses and developments. These regulations ensure that the appearance of loading areas will be consistent with that of parking areas. B. Size of Loading Spaces. Required loading spaces must be at least 35 feet long, 10 feet wide, and have a clearance of 13 feet. C. Placement, Setbacks and Landscaping. Loading areas must comply with the setback and perimeter landscaping standards stated in Table 350-4. D. Forward Motion. Loading facilities must be designed so that vehicles enter and exit the site in a forward motion. The purpose of the Planned Development District is to provide opportunities to create more desirable environments through the application of flexible and diversified land development standards under a comprehensive plan and program professionally prepared. The Planned Development District is intended to be used to encourage the application of new techniques and new technology to community development which will result in superior living or development arrangements with lasting values. It is further intended to achieve economics in land development, maintenance, street systems and utility networks while providing building groupings for privacy, usable and attractive open spaces, safe circulation and the general well-being of the inhabitants. A. Preliminary Development Plan and Program. (j) Qualifications of the proposed design team for the preparation of the General Plan and Program. The design team shall be designated on the basis of the extent and complexity of the Planned Development and shall consist of one or more persons with qualifications such as an Urban Planner, an Architect, an Engineer, a Landscape Architect, a Designer, an Attorney or other similar professionals or technicians. Planning Commission initial review of the Preliminary Plan and Program need not be a public hearing unless the applicant requests such hearing in the application. Notice for such requested hearing shall be given as provided in Section 520.100 Type II Procedure. The Planning Commission shall informally review the Preliminary Development Plan and Program at a regular meeting and may act to grant preliminary approval, approval with recommended modifications or denial. Such action shall be based upon the Comprehensive Plan, the standards of this ordinance and other regulations and the suitability of the proposed development in relation to the character of the area. Approval in principle of the Preliminary Development Plan and Program shall be limited to the preliminary acceptability of the land uses proposed and their inter-relationships and shall not be construed to endorse precise location of uses nor engineering feasibility. The Planning Commission may require the development of other information than that specified in Section 360.020B to be submitted with the General Development Plan and Program. The Planning Commission shall review and may recommend expansion, additions or modifications in the qualifications of the proposed design team for the preparation of the General Plan and Program. The Planning Commission shall determine the extent of any additional market analysis to be included in the General Development Plan and Program. B. General Development Plan and Program. After receiving approval in principle of the Preliminary Plan and Program, the applicant shall have a General Development Plan and Program prepared by the professional design team having the qualifications recommended or approved by the Planning Commission. The applicant shall apply for an amendment of the Zoning Map as set forth in Section 680.010. Upon receipt of the application accompanied by the General Development Plan and Program, the Planning Commission shall hold a public hearing in accordance with the provisions of Section 680.010. (i) General Development Plan in conformance with the approved Preliminary Plan. (ii) Existing and proposed contour map or maps of the site to a scale commensurate with the size of the development. (iii) Location, widths and names of all existing or platted streets or other public ways, railroad and utility rights-of-way, parks, or other public open spaces and land uses within 500 feet of the boundaries of the development. (iv) Existing sewers, water mains, and other underground facilities within and adjacent to the development and their certified capacities. (v) Proposed sewers or other disposal facilities, water mains and other underground utilities. (vi) A preliminary subdivision plan if the property is proposed to be divided. (vii) A land use plan indicating the uses planned for the development. 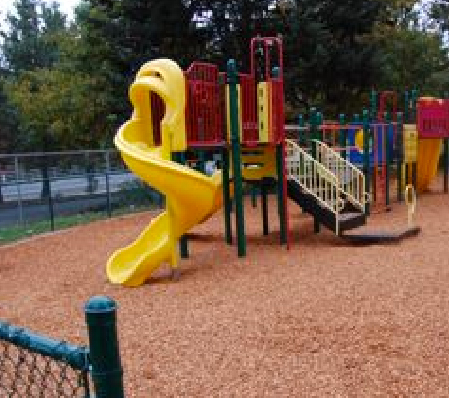 (viii) Areas proposed to be dedicated or reserved for interior circulation, public parks, playgrounds, school sites, public buildings or other uses dedicated or reserved to the public, if any. (viv) Parks, playgrounds, open space that is to be maintained and controlled by the owners of the property and the proposed uses thereof. (x) A traffic flow map showing the circulation pattern within and adjacent to the proposed development. Include a map that identifies possible street connections (except where prevented by topography, barriers or environmental constraints) at intervals of no more than 530 feet both within the project and to adjacent land in compliance with the City, County and Regional Transportation Plans. Street connections at intervals of no more than 330 feet are recommended in areas planned for the higher density mixed-use development. (xi) Location and dimensions of pedestrian walkways, malls, trails or easements. Illustrate accessways for pedestrians, bicycles or emergency vehicles on public easements or right-of-way where full street connections are not possible with spacing between streets and accessways preferably not to exceed 330 feet, unless impractical due to existing development or environmental, topography, physical barriers or environmental constraints. (xii) Location, arrangement, number and dimension of automobile garages and parking spaces, width of aisles, bays and angle of parking. (xiii) Location, arrangement and dimensions of truck loading and unloading spaces and docks, if any. (xiv) Preliminary architectural plans and elevations of typical buildings and structures, indicating the general height, bulk, appearance and number of dwelling units. (xv) A preliminary tree planting and landscaping plan including areas of ground cover and approximate finished grades, slopes, bank and ditches. All existing trees over 12″ in diameter and groves of trees shall be shown. Trees to be removed by development shall be so marked. 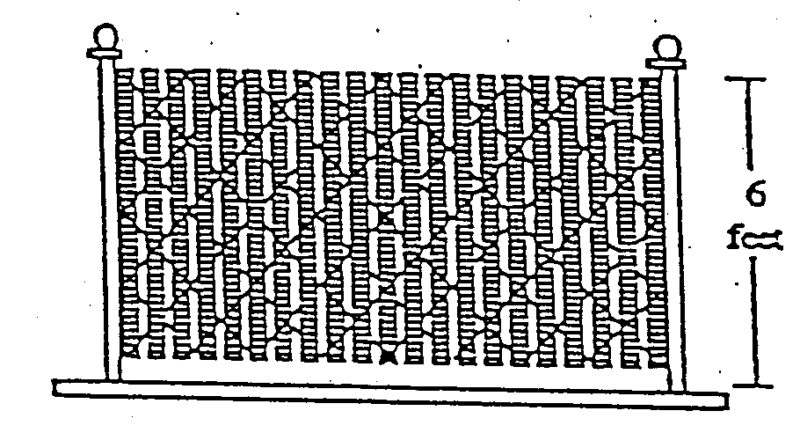 (xvi) The approximate location, height and materials of all walls, fences and screen plantings. Elevation drawings of typical walls and fences shall be included. (xvii) The stages, if any, of the development construction. Such stages shall be clearly marked on the General Development Plan. (i) Narrative statement of the goals and objectives of the planned development. (ii) A completed market analysis, if required by the Planning Commission. (iii) Evidence of resources available to develop the project. (iv) Tables showing the total number of acres, the distribution of areas by use, the percentage designated for each dwelling type, off-street parking, streets, parks, playgrounds, schools and open spaces as shown on the proposed development plan. (v) Tables showing the overall density of the proposed residential development and showing density by dwelling types and any proposals for the limitation of density. (vi) Drafts of appropriate restrictive convenants and drafts of documents providing for the maintenance of any common open space, of required dedications or reservations of public open spaces and of any dedications of development rights. (a) That the proposed development is in substantial conformance with the Comprehensive Plan for the City. (b) That exceptions from the standards of the underlying district are warranted by the decision by the design and amenities incorporated in the development plan and program. (c) That the proposal is in harmony with the surrounding area or its potential future use. (d) That the system of ownership and the means of developing, preserving and maintaining open spaces is suitable. (e) That the approval will have a beneficial effect on the area which could not be achieved under other zoning districts. (f) That the proposed development, or a unit thereof, can be substantially completed within four (4) years of the approval. A resolution for approval shall be considered by the City Council according to the provisions of Section 530.100. A Planning Commission action to deny the application may be appealed to the Council as provided in Section 550.100. D. Final Plan and Program. Following approval of the Planned Development District by the City Council the applicant shall prepare a Final Plan and Program which shall be submitted to the City Administrator to check for compliance with the approved General Development Plan and Program. If the Final Plan and Program is found to be in compliance, it shall be so certified by the City Administrator and recorded by the applicant in the County offices of the Department of Records and Elections as the Final Development Plan along with all documents relating to dedications, improvements, agreements, restrictions, and associations which shall constitute the Final Program. The standards of the Subdivision Regulations shall be met if the property is to be divided or streets are to be dedicated. All public site dedications, development rights to open spaces or other dedications for the entire site or approved staged portion shall be recorded prior to the issuance of any building permit. Final copies of all approved articles governing operation and maintenance shall be filed with the Planning Commission prior to the issuance of any building permit. In cases of conflict between standards of the underlying district and the Planned Development District, the standards of the Planned Development District shall apply. Planned Development Districts shall be established only on parcels of land which are suitable for the proposed development and of sufficient size to be planned and developed in a manner consistent with the purposes of this Section. A Planned Development District shall not be established on less than four (4) acres of contiguous land unless the Planning Commission finds that property of less than four (4) acres is suitable as a Planned Development District by virtue of its unique character, topography, or landscaping features, or by virtue of qualifying as an isolated problem area as determined by the Planning Commission. The plans and program shall present an organized arrangement of buildings, service facilities, open spaces and improvements such as recreation facilities, landscaping and fencing to insure compatibility with the Comprehensive Plan and the character of the neighborhood. Periphery yards of a Planned Development District site shall be at least as deep as those required by the yard regulations of the adjoining district unless the Planning Commission finds that equal protection will be accorded through specific features of the approved plan. D. Lot Coverage. Lot coverage shall be the same as the underlying district unless the Planning Commission finds that an exception is warranted in terms of the character and amenities proposed in the total development. Open Space in a Planned Development District means the land area to be used for scenic, landscaping or open recreational purposes within the development. (a) It shall not include street rights-of-way, driveways or open parking areas. Open Space shall be adequate for the recreational and leisure use of the population occupying the Planned Development District and designed to enhance the present and future value of the development. To the maximum extent possible, the plan and program shall assure that natural features of the land are preserved and landscaping is provided. In order to assure that open space will be permanent, dedication of development rights to Wood Village for other than open space use may be required. Instruments guaranteeing the maintenance of open space shall be reviewed and approved by the Planning Commission. Documents dedicating development rights and provisions for maintenance of open space shall be approved as to form by the City Attorney. The Planning Commission may require that instruments of conveyance provide that in the event the open space is permitted to deteriorate is not maintained in a condition consistent with the approved plan and program, then and in such event the City may at its option cause such maintenance to be done and assess the costs to the affected property owners. Recreation Area. A minimum of two hundred (200) square feet of recreation area shall be provided for each dwelling unit proposed in the Development Plan for units No. 1 through and including No. 30. A minimum of two hundred fifty (250) square feet of recreation area shall be provided for each dwelling unit for Units No. 31 or more. The recreation area shall be of a shape that will make it usable for its intended purpose. Recreation buildings may be considered as a part of this requirement. Recreation areas shall not be located in required yard. Storage Area. Storage space (for boats, campers, etc.) shall be provided on a multi-family development site at the rate of one (1), ten (10) foot by twenty (20) foot space in size for every four (4) living units. Adequate maneuvering room shall be provided; storage space shall be fenced with a six (6) foot sight-obscuring fence and conform to standard set backs. (a) All areas in a multi-family dwelling, not occupied by paved roadways or walkways, patios, shall be landscaped. (b) Native and ornamental trees with a height of twenty (20) feet or greater shall be retained unless it can be justified to be impractical. (c) Screen planting, masonry walls, or fencing shall be provided to screen objectionable views effectively within a reasonable time. Views to be screened include boat and RV parking areas, garbage and recycling collection stations and other similar uses. (d) Other landscape planting of adequate size, quantity and character shall be planted and maintained to provide an attractive setting and other improvements to provide adequate privacy and pleasant outlooks for living units. (e) It shall be the responsibility of the management to see that landscaped areas and yards are well kept. F. Subdivision Lot Sizes. Minimum area, width, depth and frontage requirements for subdivision lots in a Planned Development District may be less than the minimums specified in the underlying district if in accordance with the approved General Development Plan and Program. The balance of the total tract area shall be devoted to open space as defined herein. The applicant may elect to develop the site in successive stages in a manner indicated in the General Development Plan and Program. Each such stage shall be substantially complete within itself. The Planning Commission may require that development be done in stages if public facilities are not adequate to service the entire development initially. Housing concepts may include but are not limited to single family residences, duplexes, row houses, townhouses, cluster units or multiple family dwellings. Related commercial uses which are designated exclusively to serve the development of which they are a part, when approved by the Planning Commission. Related community service uses which are designed to serve the development of which they are a part, when approved by the Planning Commission. (a) Such community service uses may also be designed to serve the adjacent area if considered desirable by the Planning Commission upon examination of the plan. (4) Accessory buildings and uses. B. For Commercial and Industrial Districts. Uses permitted in the underlying district. Community service uses approved by the Planning Commission. Other uses as approved by the Planning Commission as consistent with the Plan and Program. A. Major Changes. Major changes in the General Development Plan and Program after it has been adopted shall be considered the same as a new petition and shall be made in accordance with the procedures specified in this Section. (d) Do not change the location or amount of land devoted to specific land uses. (a) Minor shifting of the location of buildings, proposed streets, public or private ways, utility easements, parks or other public open spaces, or other features of the plan. If substantial construction or development has not taken place within four (4) years from the date of approval of the General Development Plan and Program, the Planning Commission shall review the district at a public hearing to determine whether or not its continuation in whole or in part is in the public interest, and if found not to be, shall recommend to the City Council that the Planned Development District on the property be removed. See Section 720 – Definitions. A. No person shall erect, construct, alter, place, change, relocate, suspend or attach any sign without first obtaining from the City a written permit to do so, paying the fees prescribed therefore, and otherwise complying with all of the applicable provisions of this Code. Signs will be maintained in good condition, both structurally, and in their appearance. c. Names and addresses of the owner(s) of the subject property, the person authorizing erection of the sign and the party erecting the same as well as the party who shall maintain the same. C. Application Approval and Permit Issuance: Unless otherwise provided by this Code, no permit shall be issued for any new sign or substantial modification thereof within the City until the same be reviewed and approved under the direction of the City Manager. Traffic or other governmental street signs, such as railroad crossing signs and notices as may be authorized or required by State or Federal Law or the Wood Village City Council. Construction Project Sign: a sign erected in conjunction with a construction project and used to inform the public of the architects, engineers and construction organizations participating in the project and indicating “future home of” information. a. One (1) such sign may be erected after appropriate building permits have been obtained. b. No such sign shall exceed sixty-four (64) square feet total or thirty-two (32) square feet per face. c. No free-standing sign shall exceed (8) feet in height. d. The sign shall be removed at the time final occupancy is approved by the City or in the event a building permit or license for such construction expires. Garage Sale Sign: a sign advertising garage sales or similar events in residential zones. b. Such sign shall not exceed four (4) square feet per face. c. Shall not exceed four (4) feet in height. d. Such sign may be erected up to one (1) week prior to the event and shall be removed no later than the day after the event. Such sign shall not be placed in the public right-of-way or vision clearance areas and shall not be maintained for more than ten (10) days in any one six (6) month period of time. a. One (1) sign shall be allowed for the purpose of advertising gasoline prices. b. Shall be a one (1) or two (2) faced sign with a maximum of nine (9) square feet in area per face. c. Maximum height not to exceed eight (8) feet. d. No time or other restrictions. Name Plate: a sign when otherwise permitted in an area identifying the name, street address, occupation and/or profession of the occupant of the premises. Graphic information and all name plates shall be limited to the identification of the business name as registered with the State of Oregon. a. One (1) name plate allowed. b. Such signs shall not exceed one (1) square foot for each occupant and shall be affixed to the building wall. Non-Commercial Sign: a notice or pictorial sign, except those used for purposes of making things known about goods, services or activities offered by “for profit” entities shall be allowed in any zone when otherwise permitted, subject to the same regulations as signs in the particular zone and counted in the quantity limitations of signs for that zone for each property. Public Safety and Convenience: Signs used to serve the public safety or convenience such as “entrance”, “parking”, or “no-smoking”, “turn off motor” signs. a. Unlimited number of signs allowed. c. Not to exceed eight (8) feet in height. d. Shall meet all other pertinent requirements and City standards. Window Sign: Window signs will not need a permit nor will they be included in allowable area calculations. Non-Commercial Flags: Flags displayed from permanently located free-standing or wall-mounted flagpoles which are designed to allow raising and lowering of flags. 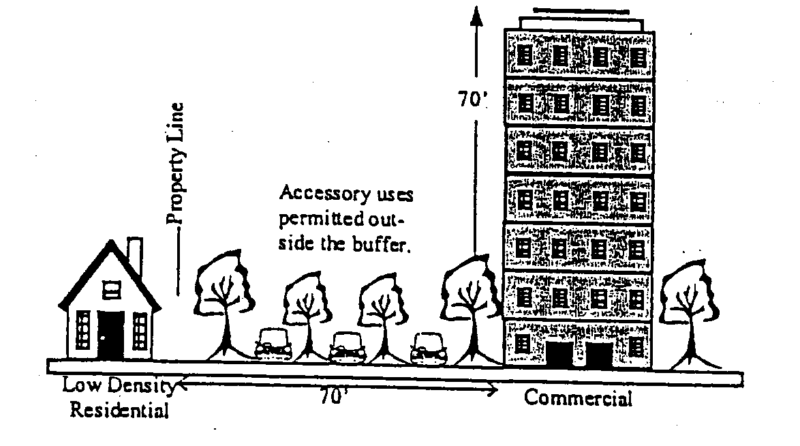 a. Shall be limited in number to one per hundred feet of linear frontage, with a maximum of six per premises. Such displays shall be kept neat, clean and in good repair. b. Shall be permitted from a date not more than forty-five (45) days prior thereto to a date ten (10) days following such election. Such sign shall be considered temporary in nature and shall be placed upon the concerned property only by the property owner, resident or with the consent of the owner, occupant or lessee thereof. Tourist Attraction Directional Sign: A uniformly designed sign used by a public agency to identify a local or regional tourist attraction. Signs Structurally Unsafe: no sign shall be constructed, erected or maintained unless the sign and sign structure is so constructed, erected and maintained as to be able to withstand wind, seismic and other loads as specified in the Uniform Building Code of the City. Intersection Signs: notwithstanding any other provisions of this Code, no sign except authorized traffic signs shall be erected at the intersection of any street in such a manner as to create a traffic hazard by obstructing vision or at any location where it may interfere with, obstruct the view of, or be confused with any authorized traffic sign. Regulatory Sign Confusion: signs resembling traffic signs or signals shall not be constructed, erected or maintained or signs which bear the words “stop”, “go slow”, “caution”, “danger” and “warning” or similar words except as officially authorized and installed by the City or other authorized governmental agencies. Portable Signs: signs not permanently affixed to a building structure or the ground and designed to move from place to place except garage sale signs, special event signs, political signs, real estate signs or as otherwise provided in this Code including Section 370.030 (C)(3) regulating free-standing signs in commercial and industrial zones. Roof Signs: signs erected, maintained, displayed, and physically attached to the roof. Temporary: Temporary signs that revolve or rotate. Signs Attached to Any Tree or Public Utility Pole other than warning signs issued by public utilities. Signs Using Bare-Bulb Illumination or Lighted so that the immediate source of illumination is visible. This is not intended to prohibit the use of neon as a source of illumination. Signs Using Flame as a source of light. Signs Designed or Used for the Purpose of Emitting Sound or Dispersing Smells. Signs with Described Illumination (Direction): No artificial light of whatever type or nature, used for the purpose of lighting any sign shall be so erected or constructed or placed, nor shall any substance or material capable of reflecting light be so placed as to result in directing the same into any private residence. Hotels and motels are not considered private residences. No exposed reflective type bulb, strobe light or incandescent light shall be used in such a way so as to expose the face of the bulb, light or lamp to any public street; provided however, a reflective type lamp bulb of whatever wattage may be used for illumination of the displayed surface of a sign, if not directed towards the view from any public street. Must be removed within forty-five (45) days of opening business day. Wall Sign area may not exceed 20% of a building’s front entry wall; may be split among faces. May not extend above the roofline. No limit if within the maximum total allowed area. External or internal if illumination confined to the lettering and logo. A-Frame* Twelve (12) square feet Not to exceed thirty-six (36) inches including legs. One (1) per business May not be illuminated or have other mechanical capabilities. Projecting 18 square feet per sign face. Shall not extend above the roof line. Minimum clearance of seven (7) feet between the bottom of the sign and the ground. Freestanding Prohibited in the Neighborhood Commercial (NC) zone. (a) Number of tenants or occupants. (b) Number and size of other existing or proposed signs on the building. (c) Distance between the building and adjacent street. (d) Number of traffic lanes and traffic speed for the street adjacent to the proposed sign. *While A-Frame, Feather, and Inflatable signs are permitted, no more than two (2) of these sign types at a time may be on display at the same location. *Special Event Banners are also permitted when used by a nonprofit or governmental agency in the promotion of a public event or initiative. **While A-Frame, Feather, and Inflatable signs are permitted, no more than two (2) of these sign types at a time may be on display at the same location. a. Such signs shall have a maximum height of not more than twenty-five (25) feet and a maximum width of nine (9) feet for a decorative base, and eight (8) feet for the structure/frame as determined by the City. b. Any number of business identification modules may be added within the sign frame without expanding the sign frame. Residential entities within the Town Center Master Plan are subject to same regulations as MR2. Electronic Display System Electronic Message Centers may be used in the following areas: Wall, Monument, and Directory. The size limit is based on the size restrictions in those categories. Maximum eight thousand nits between dusk and dawn. Shall project no more than six (6) feet or two-thirds (2/3) of the width of the sidewalk. No floodlights, flashing lights or similar high-intensity artificial lighting devices. Freestanding Area: Maximum area of each face of a multi-faced free-standing sign shall be 1.0 square foot of sign face area per linear foot of site frontage, not exceeding 75 square feet. When property has frontage on more than one street, the property may be permitted to have the number of free-standing signs in accordance with the above provision for each such street frontage based on the aforementioned formula. Height: Shall not exceed in height the distance from any portion of the sign to the center line of an adjacent public right-of-way, up to a maximum of 25 feet. Free-standing signs shall be located so as to assure adequate sight distance at street intersections and driveways. The owner of any lot or parcel real property fronting on more than one street or highway who desires to utilize a single sign, the faces of which are to be set at angles, must request a variance under this Code. The owner of any lot or parcel of real property fronting on more than one street or highway may elect to combine the total street frontage of said property in establishing the maximum permitted size of any free-standing sign; however in the event all street or highway frontage is so combined, only one such sign shall be permitted and such single sign shall not exceed in area the maximum hereinabove set forth. Two or more owners of separate adjacent parcels of real property zoned for commercial or industrial use may elect to combine the street or highway frontage of their respective adjacent properties and in such case one (1) free-standing sign shall be permitted to be constructed in accordance with the provisions of this Code. This election shall not be permitted if there exists on any portion of said properties any other free-standing signs unless said signs are removed and shall be permitted only so long as all concerned owners consent thereto. Opening Banner Must be attached to permanent structure including the building, an approved fence, or waste enclosure. Wall Sign area may not exceed 20% of a building’s front entry wall; may be split among faces May not extend above the roofline No limit if within the maximum total allowed area. External or internal if illumination confined to the lettering and logo. Freestanding Maximum area of each face of a multi-faced free-standing sign shall be 1.0 square foot of sign face area per linear foot of site frontage, not exceeding 75 square feet. When property has frontage on more than one street, the property may be permitted to have the number of free-standing signs in accordance with the above provision for each such street frontage based on the aforementioned formula. Shall not exceed in height the distance from any portion of the sign to the center line of an adjacent public right-of-way, up to a maximum of 25 feet. Free-standing signs shall be located so as to assure adequate sight distance at street intersections and driveways. Opening Banner Sixty (60) square feet Must be attached to permanent structure including the building, an approved fence, or waste enclosure. For not more than one (1) free-standing sign allowed in this sub-section, the City may allow a maximum height of forty-five (45) feet and a maximum area per face of 250 square feet if the City finds that the activity to be identified by the proposed sign is a freeway-oriented activity. (b) Such business or activity shall be located on property that lies within six hundred (600) feet of a line parallel to the center line of Interstate 84 and a distance of one thousand (1,000) feet along Interstate 84 in each direction from the center line of NE 238th Drive. I. Signs Not Intended to be Read From the Street: Nothing contained in this Code shall prevent the erection, location or construction of signs on private property when such advertising signs are not intended to be read from any public street or highway or when such signs are designed to direct and guide pedestrian and vehicular traffic while said traffic is on the parcel of real property on which the signs are located and are not intended or “practically speaking” cannot be read from any public street or highway. Such signs shall not contain letters over one (1) inch in height when located within twenty (20) feet of any street right-of-way and one and one-half (1 1/2) inches in height when located further than twenty (20) feet from any street or right-of-way. No such sign shall be internally illuminated; no sign or any part thereof shall rotate or consist of any moving, rotating or otherwise animated parts; all such signs shall be subject to review and approval by the City Manager. D. Signs that incorporate white or blue neon tubing that exceeds 300 milliamperes rating, or other neon tubing that exceeds 120 milliamperes rating. The requirements of Section 370, unless otherwise herein stated, shall apply to all signs. Variance requests shall be subject to all of the procedures, requirements and restrictions established for variances under Section 660. A. Additional Requirements: Variances shall not be granted for the convenience of the applicant who may wish to use a “standard pattern or design”. In all instances the Planning Commission or the City Council, as the case may be, shall not grant a variance unless it shall find that such variance will not adversely affect the surrounding property or neighborhood or the development thereof with reference to the City’s Comprehensive Plan. 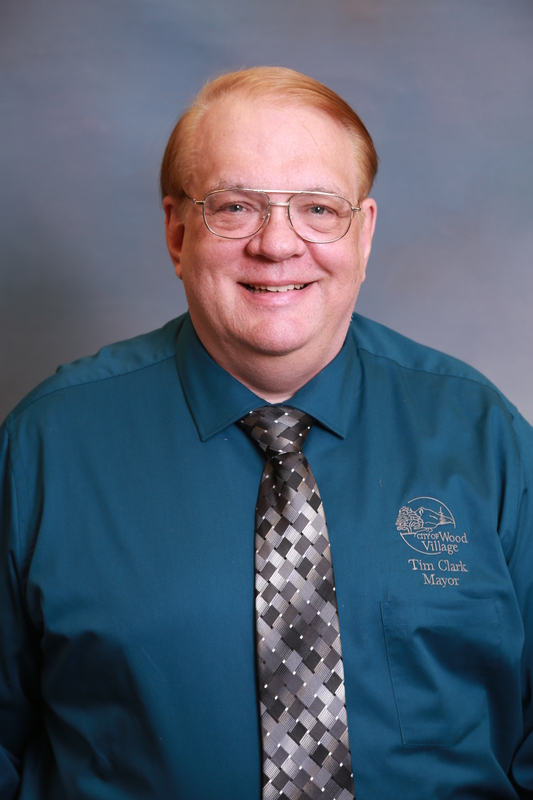 A request for variance shall require the payment of a permit fee as provided by City Council Resolution establishing the same. All variance requests shall be submitted to the City’s Planning Commission upon form provided and obtained from the City. A. Nonconforming signs are those signs types listed below that were lawfully installed prior to April 30, 2017 or for which a permit was issued prior to April 30, 2017, which do not conform to the requirements of the City Zoning Development Code. Any nonconforming sign shall be made to comply with the Zoning and Development Code when structural alterations, relocation or replacement of a sign occur. However, changes on a readerboard or outdoor advertising signs shall be permitted without loss of nonconforming status. On-site or off-site repairing or restoring any part of a sign or sign structure to a safe condition, including normal maintenance, shall be permitted without loss of non-conforming status. A. Administration: All signs, all applications therefore shall be exclusively administered by the City. B. Enforcement: All provisions of this section are subject to enforcement as provided in the Wood Village Municipal Code. The City Manager or duly authorized representatives may enter upon, at reasonable times, any building, structure or premise in the City of Wood Village to perform any duty imposed upon him or her by this Code. C. Abandoned Signs: Any person who owns or leases a sign shall remove such sign when either the business it advertises has discontinued business in the City or the business it advertises is no longer conducted in or about the premises on which the sign is located. If the person who owns or leases such sign fails to remove it, the City is authorized to remove at the cost of the owner of the building, structure or premise. D Permit Fees: Application for a sign permit shall be accompanied by the appropriate fees as established by City Council Resolution including such building permit fees as required for construction of other types of buildings or structures within the City. A. All decisions of the City Manager relating to the enforcement and administration of Section 370 including the refusal to issue a sign permit to construct, erect or maintain the same or to require the alteration or removal of a sign or the granting or refusal to grant a variance from provisions of this Code may be appealed to the City Planning Commission by serving written notice on the City Manager within fifteen (15) days of notification, the City Manager or the City Planning Commission , as the case may be, upon form supplied by the City. B. Any person aggrieved by a final determination of the Planning Commission shall have the right of further appeal to the City Council upon written notice of appeal filed with the City Manager within fourteen (14) days of the date the notice of decision of the Planning Commission is mailed. Such appeal shall be promptly scheduled for hearing by the City Council in the same manner as appeals from decisions of the Planning Commission set forth in Section 550 of this Code. C. Decisions of the City Council may be appealed to a Court of competent jurisdiction as provided by ORS 34.010 and such other ORS provisions as may be applicable. Temporary uses are characterized by their short term or seasonal nature and by the fact that permanent improvements are not made to the site. Temporary uses include, but are not limited to: leasing offices, temporary carnivals, neighborhood celebrations and fairs, parking lot sales, retail warehouse sales, and seasonal sales such as Christmas tree sales and vegetable stands. Four types of temporary uses require permit approval identified in sections A., B. and C. below. 380.020 Temporary Use Permit Not Required for Temporary Uses of Limited Duration. Any temporary use of land of up to a 14-day duration (such as a promotional event, festival, carnival, or outdoor sale) which conforms with all other requirements of this Code and other applicable city regulations and public health and safety requirements, some of which may further limit such uses in terms of location, scope and duration. The use is adequately served by sewer or a septic system and city water, as applicable. 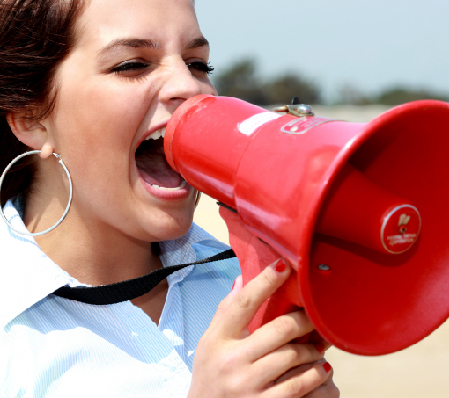 The applicant shall be responsible for obtaining any related permits. The Planning Commission may make an exception to any requirement in this section upon finding there is an overriding public benefit to the exception. B. Temporary Real Estate Sales Office, Model Home. Applications for such temporary uses shall be processed pursuant to the Type II procedure under Section 520.100 and subject to the applicant paying the basic public hearing planning fee. The City may approve, approve with conditions or deny a temporary use permit. If the reviewing authority finds there are significant negative impacts from the use or a change in circumstances in the area, the annual permit may be denied. Approval shall be based upon findings which demonstrate compliance with the criteria set forth in Subsection A(1) through (8) of the this section. b. The property to be used for the temporary sales office shall not be permanently improved for that purpose. c. Permit is valid for a maximum period of one year with no renewals. b. The model house shall be designed as a permanent structure that meets all relevant requirements of this code. c. This type of temporary use must be renewed annually by City staff, unless there are citizen complaints about the use in which case the permit must be renewed by the Planning Commission or Design Review Board. C. Temporary Building. Applications for temporary trailers or prefabricated buildings that are not regulated under Subsection B of this section shall be processed pursuant to the Type 2 procedure under Section 520.100 and subject to the applicant paying the basic public hearing planning fee. The City may approve, approve with conditions or deny a temporary use permit. City staff will renew this type of temporary use annually, unless there are citizen complaints about the use in which case the renewal of the permit must be considered by the Planning Commission or Design Review Board. If the reviewing authority finds there are significant negative impacts from the use or a change in circumstances in the area, the annual permit may be denied. Approval shall be based upon findings, which demonstrate compliance with the criteria set forth in Subsection A (1) through (7) of this section. In addition, approval shall be subject to the following additional criteria. The length of time that the temporary building will be used does not exceed twelve (12) months. When a temporary building exceeds this time frame, the applicant shall be required to remove the building, or receive City staff approval to annually renew the temporary use permit. The review authority may revoke a permit or deny renewal if it is found that there are significant negative impacts from the use or there is a change in circumstances in the area. The use shall comply with the City sign code. The purpose of this section is to ensure that certain new construction incorporates functional and adequate space for on-site storage and efficient collection of mixed solid waste and source separated recyclables prior to pick-up and removal by haulers. The mixed solid waste and source separated recyclables storage standards shall apply to new multi-unit residential buildings containing five or more units1 and non-residential construction that are subject to full site plan or design review; and are located within urban zones that allow, outright or by condition, for such uses. The following definitions apply to standards dealing with solid waste and recyclables storage areas only. MIXED SOLID WASTE. Solid waste that contains recoverable or recyclable materials, and materials that are not capable of being recycled or recovered for further use. SOURCE SEPARATED RECYCLABLES. At a minimum, recyclable materials designated “principle recyclable materials” by the State Environmental Quality Commission under ORS 495A.025, with the exception of yard debris. Currently these materials include newspaper, ferrous and non-ferrous scrap metal, used motor oil, corrugated cardboard, aluminum, container glass, office paper and tin cans (OAR 340-60-030). STORAGE AREA. The space necessary to store mixed solid waste and source separated recyclables that accumulate between collection days. MULTI-UNIT RESIDENTIAL BUILDING. A structure that contains five or more dwelling units that share common walls or floors/ceilings with one or more units. NON-RESIDENTIAL BUILDING. A structure that is used for any non-residential function, including but not limited to office, retail, wholesale/warehouse/industrial, educational, and institutional uses. Except as provided for in Section 390.050 (C), the storage area must be able to accept at least all “principle recyclable materials” designated by the Oregon Environmental Quality Commission and other source-separated recyclables identified by City Ordinance. 390.050 Methods of Demonstrating Compliance. An applicant shall choose one of the following three methods to demonstrate compliance: 1) minimum standards; 2) comprehensive recycling plan; or 3) licensed hauler review and sign-off. Section 390.060 (Location, Design and Access Standards), except as provided in Section 390.050 (B). The floor area of an interior or exterior storage area required by this Section shall be excluded from the calculation of lot coverage and from the calculation of building floor area for purposes of determining minimum storage requirements. Description of Method: This method specifies a minimum storage area requirement based on the size and general use category of the new construction. Typical Application of Method: This method is most appropriate when the specific use of a new building is not known. It provides specific dimensional standards for the minimum size of storage areas by general use category. Application Requirements and Review Procedures: The size and location of the storage area(s) shall be indicated on the site plan of any construction subject to this Section. Through the site plan review process, compliance with the general and specific requirements set forth below is verified. (a) The storage area requirement is based on the predominant use(s) of the building (i.e. residential, office, retail, wholesale/warehouse /manufacturing, educational/ institutional, or other). If a building has more than one of the uses listed herein and that use occupies 20 percent or less of the floor area of the building, the floor area occupied by that use shall be counted toward the floor area of the predominant use(s). If a building has more than one of the uses listed herein and that occupies more than 20 percent of the floor area of the building, then the storage area requirement for the whole building shall be the sum of the requirement for the area of each use. (b) Storage areas for multiple uses on a single site may be combined and shared. (c) The specific requirements are based on an assumed storage height of 4 feet for solid waste/recyclables. Vertical storage higher than 4 feet but no higher than 7 feet may be used to accommodate the same volume of storage in a reduced floor space (potential reduction of 43% of specific requirements). Where vertical or stacked storage is proposed, the site plan shall include drawings to illustrate the layout of the storage area and dimensions of containers. (a) Multi-unit residential buildings containing 5-10 units shall provide a minimum storage area of 50 square feet. Buildings containing more than 10 residential units shall provide an additional 5 square feet per unit for each unit above 10. Description of Method: The comprehensive recycling plan method is most appropriate when an applicant has independently developed a comprehensive recycling plan that addresses materials collection and storage for the proposed use. Typical Application of Method: This method can be used when a comprehensive recycling plan has been developed for a specific facility. It is most suited to large non-residential uses such as hospitals, schools and industrial facilities. The comprehensive recycling plan method can be used for new construction or expansion that is subject to full site plan review. Application Requirements and Review Procedure: The comprehensive recycling plan shall be submitted at the same time site plans are submitted for site plan review. The applicant shall submit plans and text that show how mixed solid waste and recyclables generated by the proposed development will be served under a comprehensive recycling plan. The location, design and access standards set forth in Section 390.060 are applicable to new storage areas only. Description of Method: This method provides for coordinated review of the proposed site plan by the licensed hauler serving the subject property. Typical Application of Method: This method is to be used when there are unique conditions associated with the site, use or waste stream that make compliance with any of the other two methods infeasible. The objective of this method is to match a specific hauler program (types of equipment, frequency of collection, etc.) to the unique characteristic(s) of the site or development. Use of either of the two other methods of compliance would interfere with the use of the proposed development by reducing the productive space of the proposed development, or make it impossible to comply with the minimum off-street parking requirements of the underlying zone. The site is of an irregular shape or possesses steep slopes that do not allow for access by collection vehicles typically used by the licensed hauler to serve uses similar in size and scope to the proposed use. The proposed use will generate unique wastes that can be stacked, folded, or easily consolidated without the need for specialized equipment, such as a compactor, and can therefore be stored in less space than is required by Section 390.050 (A) of this Section. Application Requirements and Review Procedure: The applicant shall work with the licensed hauler to develop a plan for storage and collection of source separated recyclables and mixed solid waste expected to be generated from the new building. A narrative describing how the proposed site meets one or more of the unique site conditions described above plus site and building plans showing the size and location of storage area(s) required to accommodate anticipated volumes shall be submitted for site plan review. Additionally, a letter from the licensed hauler shall be submitted at the same time that describes the level of service to be provided by the hauler, including any special equipment and collection frequency, which will keep the storage area from exceeding its capacity. 390.060 Location, Design and Access Standards for Storage Areas. The following location, design and access standards for storage areas are applicable to all three methods of compliance: 1) minimum standards; 2) comprehensive recycling plan; or 3) licensed hauler review. To encourage its use, the storage area for source separated recyclables shall be co-located with the storage area for residual mixed solid waste. Indoor and outdoor storage areas shall comply with Uniform Building and Fire Code requirements. Storage area space requirements can be satisfied with a single location or multiple locations, and can combine both interior and exterior locations. Exterior storage areas can be located within interior side yard or rear yard areas. Exterior storage areas shall not be located within a required front yard setback or in a yard adjacent to a public or private street. Exterior storage areas shall be located in central and visible locations on a site to enhance security for users. Exterior storage areas can be located in a parking area, if the proposed use provides at least the minimum number of parking spaces required for the use after deducting the area used for storage. Storage areas shall be appropriately screened according to the provisions in Section 390.060 B, Design Standards. The dimensions of the storage area shall accommodate containers consistent with current methods of local collection. Storage containers shall meet Uniform Fire Code standards and be made and covered with waterproof materials or situated in a covered area. Exterior storage areas shall be enclosed by a sight obscuring fence, wall, or hedge at least six feet in height. Gate openings which allow access to users and haulers shall be provided. Gate openings for haulers shall be a minimum of 10 feet wide and shall be capable of being secured in a closed and open position. Storage area(s) and containers shall be clearly labeled to indicate the type of materials accepted. Access to storage areas can be limited for security reasons. However, the storage area shall be accessible to users at convenient times of the day, and to collection service personnel on the day and approximate time they are scheduled to provide collection service. Storage areas shall be designed to be easily accessible to collection trucks and equipment, considering paving, grade and vehicle access. A minimum of 10 feet horizontal clearance and 8 feet of vertical clearance is required if the storage area is covered. Storage areas shall be accessible to collection vehicles without requiring backing out of a driveway onto a public street. If only a single access point is available to the storage area, adequate turning radius shall be provided to allow collection vehicles to safely exit the site in a forward motion. An Accessory Dwelling Unit (ADU) is a habitable living unit that provides the basic requirements for shelter, heating, cooking and sanitation. ADU’s are permitted in single family zones, and in the single family areas of the Town Center Zone. A. Provide homeowners with a means of obtaining, through tenants in either the ADU or the principle unit, rental income, companionship, security and services. B. Add affordable units to the existing housing supply. C. Make housing units available to moderate-income people who might otherwise have difficulty finding homes within the City. D. Develop housing units in single-family neighborhoods that are appropriate for people at a variety of stages in the life cycle. E. Protect neighborhood stability, property values, and single-family residential appearance of the neighborhood by ensuring that ADU’s are installed under the conditions of this Code. 395.020 Requirements for All Accessory Dwelling Units. Constructing a new house or detached house with an internal or detached ADU. B. Owner Occupancy. The property owner, which shall include the holders and contract purchasers, must occupy either the principal unit or the ADU as their permanent residence for at least six months out of the year, and at no time receive rent for the owner-occupied unit. C. Number of Residents. The total number of individuals that reside in both units may not exceed the number that is allowed for a household. D. Location of Entrances. If a separate entrance is provided, the primary entrance to the ADU shall be located in such a manner as to be visually secondary to the main entrance of the principal unit. E. Parking. In addition to the single family parking requirement, there shall be one additional parking stall provided for the ADU. F. Floor Area. The maximum gross habitable floor area (GHFA) of the ADU shall not exceed 800 square feet GHFA. G. Setbacks and Dimensional Requirements. The ADU shall comply with the setback and dimensional requirements of the underlying zone. H. Design and Appearance. The ADU shall be designed so that, to the degree reasonably feasible, the appearance of the building conforms to the original design characteristics and style of the primary building.